How did you hear about NV Logistics? I heard about NV Logistics through my former service provider Von Bergen AG. Later on, I met the NV logistics team at the MIC (Marly Innovation Center). Could you tell us the 3 key points that best describe NV Logistics ? Without hesitation, professionalism, efficiency and flexibility. Which challenges did NV Logistics face to organize your logistic? The main challenge was to understand the food constraints of MICARNA products and especially to work in cold temperatures set at 3°C. What is particular to MICARNA fresh products storage? Working with expiry dates has a strong influence on the logistics of storing fresh products. It is an everyday challenge. Would you recommend NV Logistics to your business partners? Would you like to add a few words to close this interview? 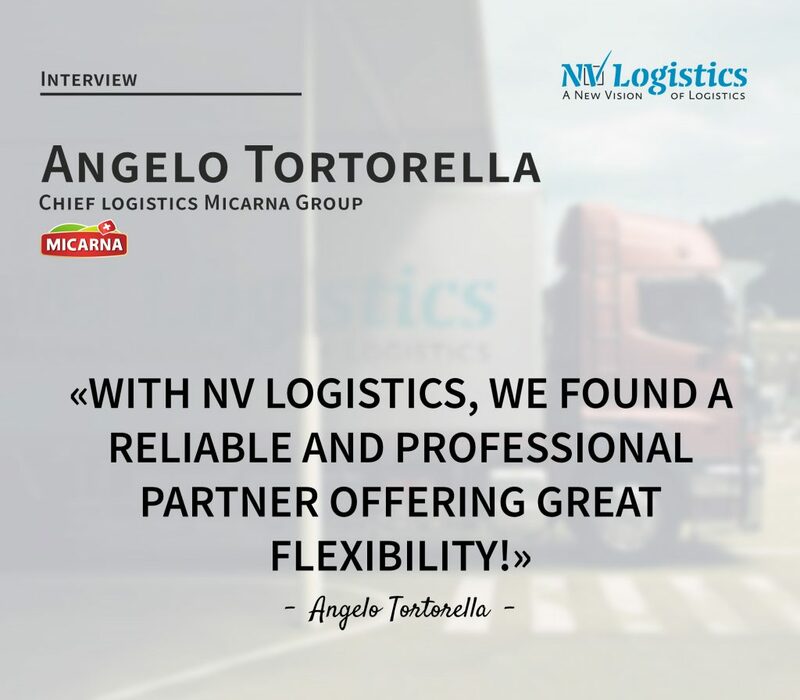 Yes, with NV Logistics, we found a reliable and professional partner offering great flexibility!